The landscape has dramatically changed in Korea over the last decade. The third Inter-Korea summit is set for April– the last one held in 2007. Domestic and international interest in the two Koreas is at an all-time high. In 2010, when Dr. Hyun Jin Moon began working in earnest on the issue of Korean reunification, public interest was focused on domestic issues. At the same time, support for reunification had dwindled to just under 20%, a dramatic drop from the 41% support in 1994. The Korean War and division had become an abstraction, with a comfortable acceptance of two separate states: North and South. Meanwhile, international attention to the division sparked and fizzled in reaction to growing security threats, yet the issue was never given the sustained attention needed to push things forward in a positive direction. 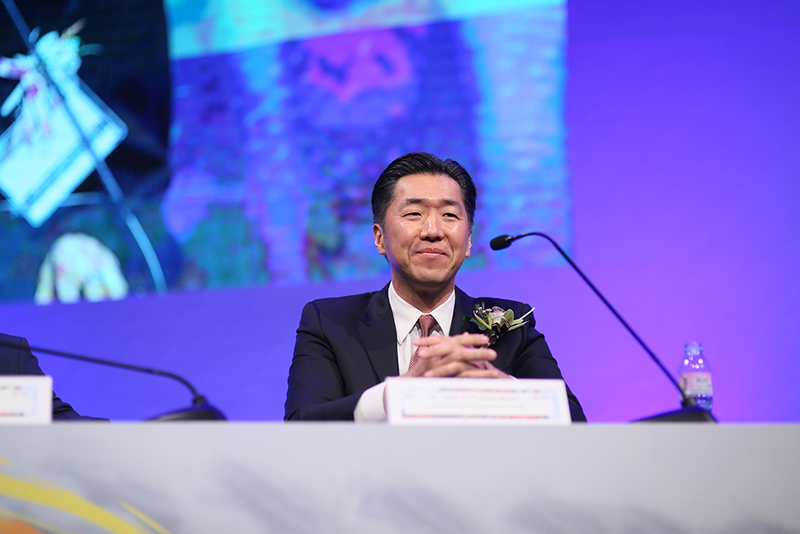 Dr. Hyun Jin Preston Moon speaks at the International Forum on One Korea in Seoul. Dr. Moon pointed out that Korean reunification would be critical in determining the fate of the Korean people. Over the last eight years, Dr. Moon has systematically built out an approach to reunification that has significantly shifted the perspectives of Koreans and the international community on Korean reunification. First, he has urged Koreans to dig into their heritage and rediscover their shared identity to form a vision that can transcend the Cold War divisions that have left the people divided for more than seven decades. Significantly, Dr. Moon has cautioned that it is important to articulate a common vision before focusing on the process of reunification. A shared vision would serve as a rallying point for people who have grown apart and guide the shaping of a reunified Korea. Dr. 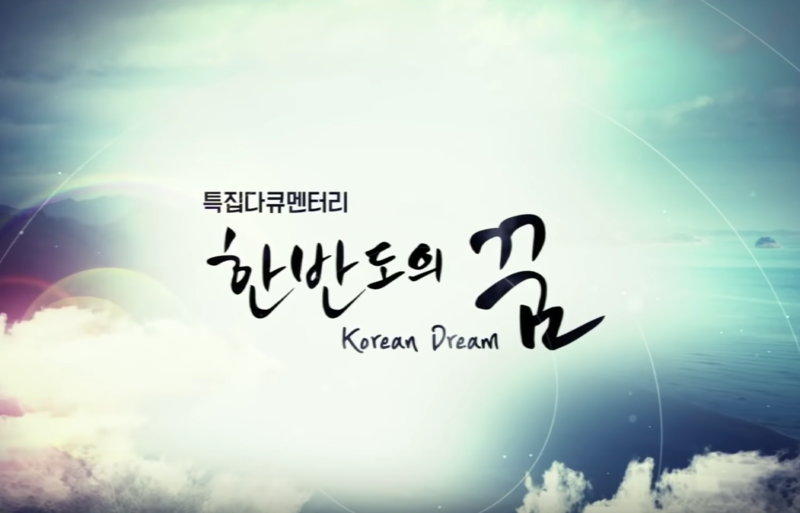 Moon went on to coin the term “Korean Dream,” to refer to a common vision which draws upon the ancient Korean ethic of Hongik Ingan, that encourages the Korean people since its founding as a nation to honor human dignity and grow to become a nation to be of benefit to all humanity. Second, he has brought the issue of reunification to the people. Until that point, Korean reunification was mostly thought of as an issue best left to high-level diplomacy and policy discussion. Such perspective has fed the growing apathy towards the division as one agreement after another has fallen apart as negotiations and diplomatic relations have repeatedly stalled. Dr. Moon has sought to bring the issue to the grassroots, noting that the power of an informed and engaged civil society is crucial to reunification as well as the establishment of a Korean nation that can become a model of universal principles and shared values to the rest of the world. 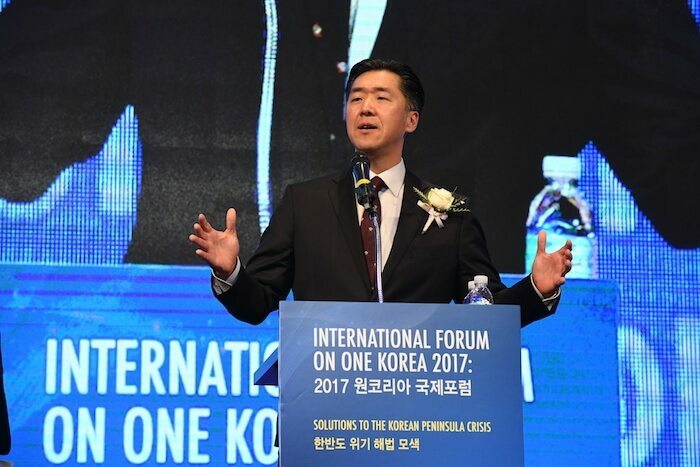 Through the groundbreaking work of the Global Peace Foundation and Action for Korea United (AKU), a coalition of civil society organizations committed to advancing Korean reunification and the Korean Dream, awareness and engagement in the issue of Korean reunification has significantly grown. A survey in 2017 reported that close to 53% support reunification just as the AKU coalition itself has grown from 300 organizations in 2012 and to over 900 in 2018. Yet, in many ways, the hard work has just begun. 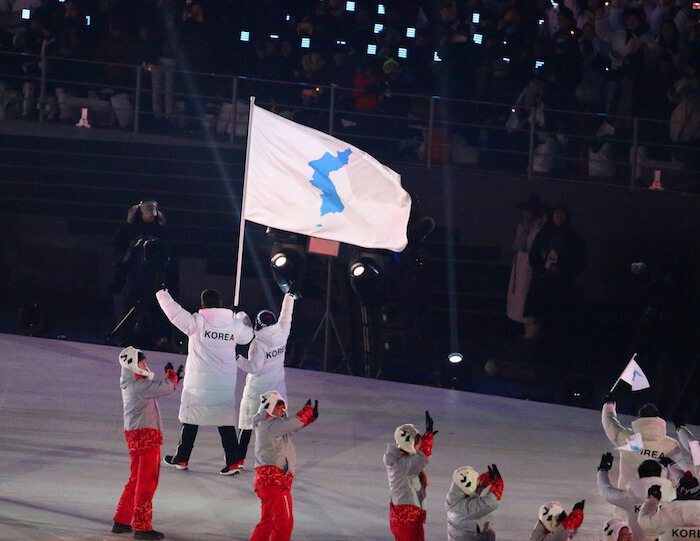 As the protests during the Pyeongchang Olympics illustrate, South Koreans are still far from reaching consensus on the manner of, or even the need for, reunification. Furthermore, the percent of those opposed to reunification is highest in the up and coming voters, namely the 10s-30s generation. Dr. Moon went further to say along with a clear vision, there is a need for a clear, coordinated effort among all sectors: civil society and the public and private sector. Reunification will be a complex process with many hurdles and walls considering the fact that the two Koreas have literally been at war for the last 70 years. Therefore, before delving into the process, a common point of reference needs to be established, with an inspiring, engaging vision that can light the way through the tough times ahead. What Koreans the world over need to recognize is that there has been such a touchstone all along, by which the Koreans have navigated through some of their most challenging moments, in the spirit of Hongik Ingan, the Korean Dream. Now is the time to revive the true spirit of the Korean people. Now is the time for the Korean Dream.